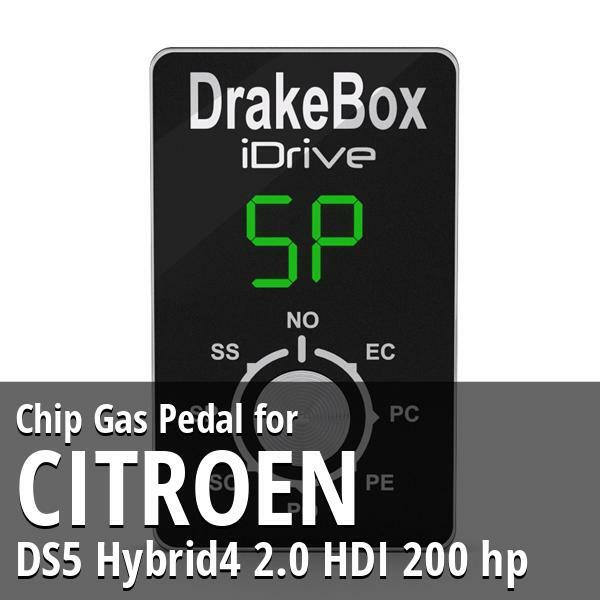 Chip Citroen DS5 Hybrid4 2.0 HDI 200 hp Gas Pedal. From angry supercar to docile citycar directly while driving. Chip tuning Citroen DS5 Hybrid4 2.0 HDI 200 hp. 14 maps, an ultra bright display and specific software. Easy to install and use!